Christophe Fenwick is one of those admirable chaps who have turned their passion into a business. 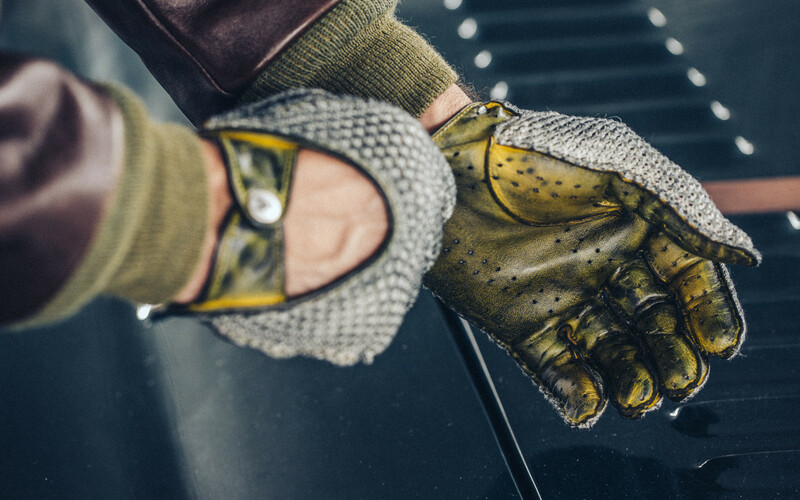 Long a fan of classic cars and motorcycles, the Parisian based designer has painstakingly crafted a line of driving gloves and now shoes that are cool and beautiful enough to be worn with the world's finest classic cars, be they weekend knockabouts or concours winners. As far back as Fenwick (above) remembers, he has collected and hunted old spare parts, made his own repairs, competed in races, and taken part in road trips, he notes. 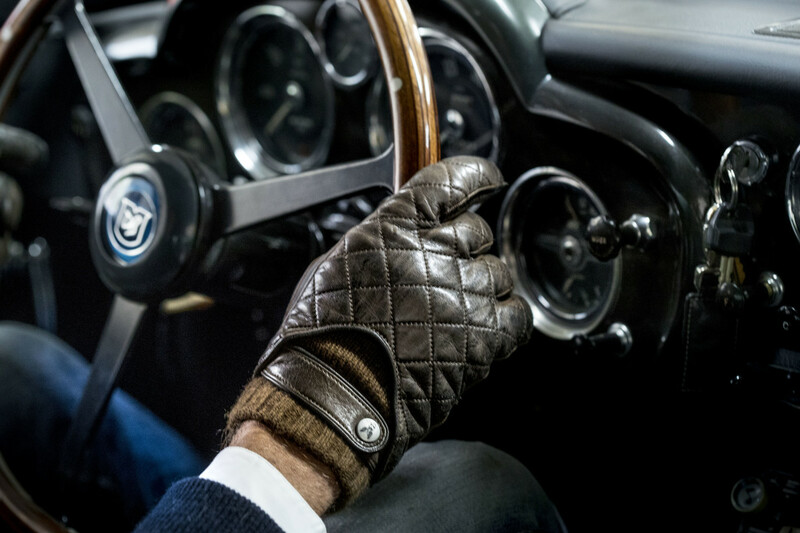 As a driver with more than a dash of Steve McQueen's effortless style, he needed suitable gloves but couldn't find any that were practical yet good-looking enough for his purposes. Hence he had a pair custom made to his specifications, inspired by classic designs of the 1960s. 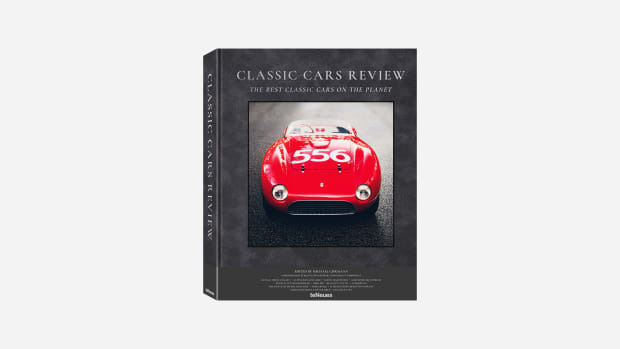 He also found an exclusive method of apply a patina to the leather to give them a lustrous vintage look, echoing the patina of the cars themselves. 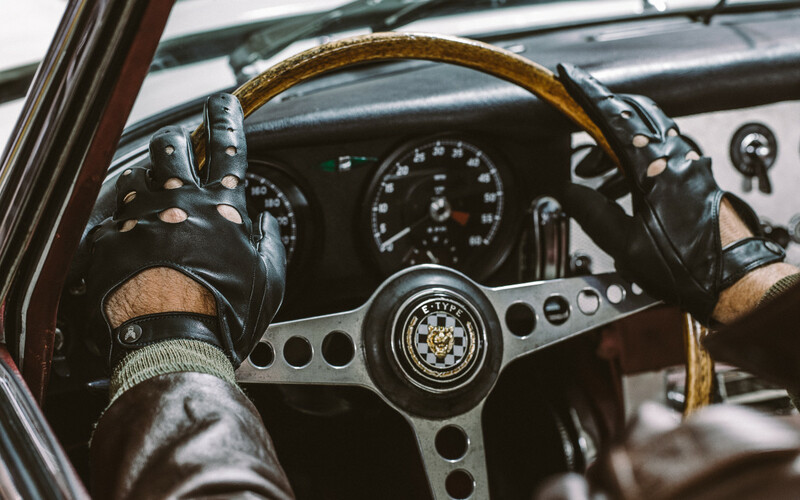 His friends and car and bike enthusiast acquaintances were so wildly enamored of his custom gloves that he decided to create a whole collection for fellow classic drivers and enthusiasts, and by the end of 2014 his brand was off to a flying start. 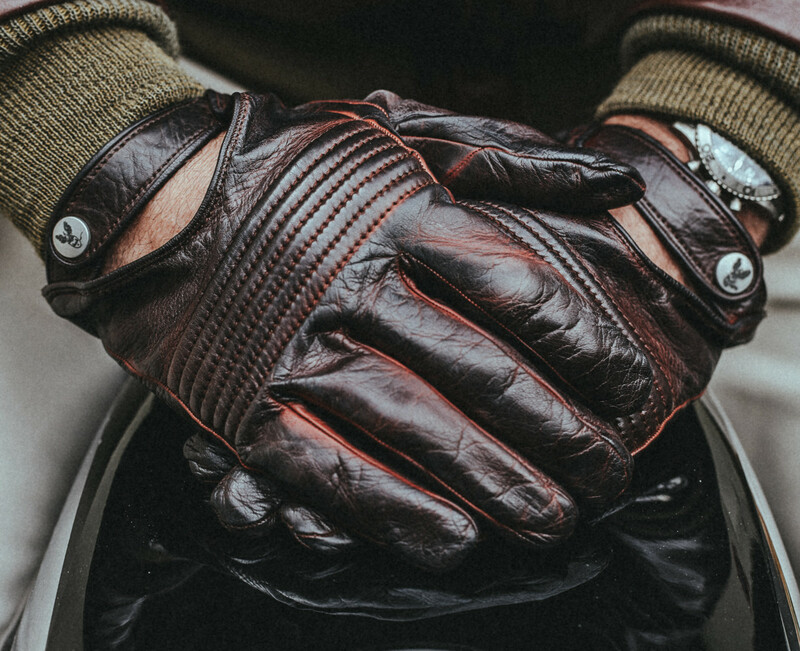 Fenwick uses only the finest lamb, deer, and peccary skins tanned in Italy for his leather gloves, and some models are lined with Scottish cashmere or fine-gauge knit cotton for extra warmth, all sewn by a family of master craftsmen. His designs are inspired by the cars and bikes in his personal collection. 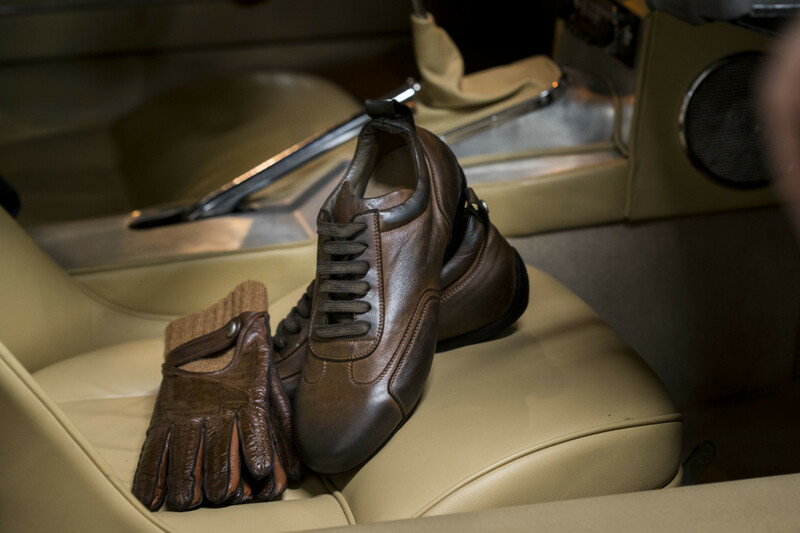 Within the past year he has added a collection of gorgeous leather and suede driving shoes to the mix, based on the ones worn by the likes of Formula One and Le Mans drivers decades ago, including some limited edition versions in honor of iconic classic car rallies. 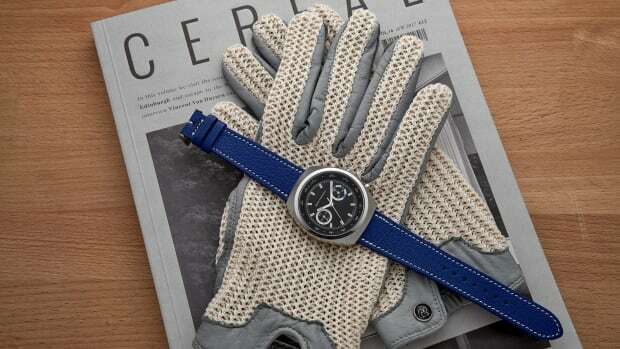 Check them all out here with colors like British Racing Green and mellow Maserati burgundy; Fenwick also offers a bespoke service should you want your gloves or shoes color matched to your E-Type, for example, with linings in the same fabric as the upholstery, or embossed with your car's number plates.